Ms. Hirschfeld-Sussman’s practice focuses on collective bargaining negotiations and personnel matters. She assists school districts, county offices of education, and community college districts in negotiating collective bargaining agreements, resolving grievances and unfair practice charges, and handling personnel matters. Prior to joining SCLS, Ms. Hirschfeld-Sussman practiced education law for public school district clients at a law firm in the Sacramento area. In law school, Ms. Hirschfeld-Sussman interned at the San Francisco City Attorney’s Office, the Washington State Attorney General’s Office, and the U.S. Attorney’s Office for the Eastern District of Missouri. 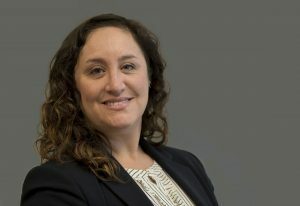 Ms. Hirschfeld-Sussman is a member of the State Bar of California.